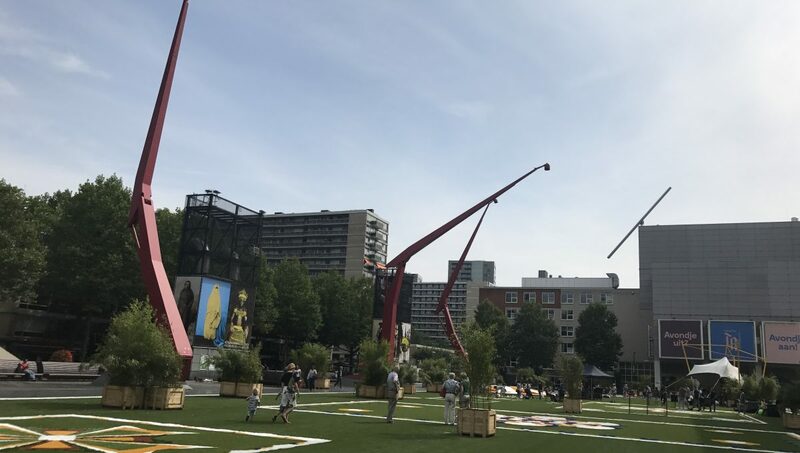 To call the Netherlands the Mecca of placemaking is perhaps a bit of an exaggeration, but compared to most countries we do have a head start in terms of urban development and the quality of public space. 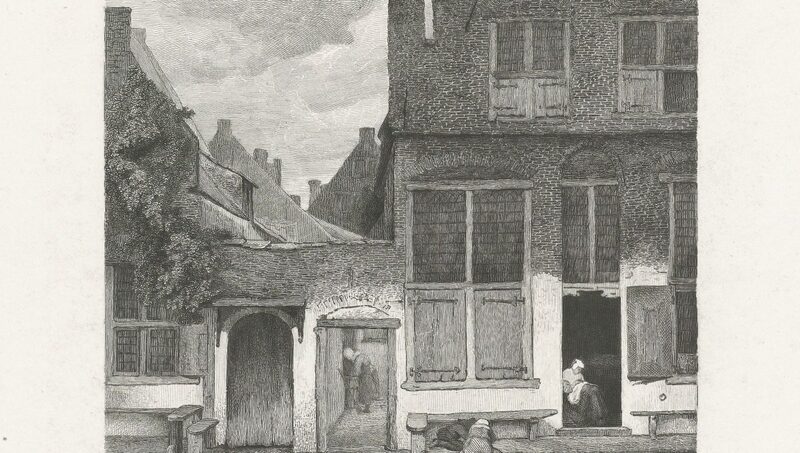 That’s partly because urbanisation occurred early in the Netherlands: 80% of the population already lived in urban areas by the eighteenth century. The human dimension has always been a characteristic feature of these early cities, as is evident from the intimate streets and places, designed with the pedestrian in mind. The Dutch ‘stoep’, or sidewalk, that emerged at the time as a buffer between public and private space even became an ‘export product’. The stairs in New York are derived from it and named after it: ‘stoop’. Cities are based on a mixture of quality of life, housing and work. Hotels, cafés, homes, shops – everything is mixed together. While splendid squares were built in Italy and Spain to honour and glorify the nobility and the Church, the historic squares here reflected the Dutch entrepreneurial spirit and were mostly markets. An excellent example is the origin of Dam Square in Amsterdam. Initially, the Nieuwe Kerk was supposed to dominate the square, but as the design phase approached, trade routes to the East gained importance and the city hall became increasingly powerful. In the final design, the city hall, now the palace on Dam Square, pushed the church to the background. That’s typical of the history of the development of the city. In the 1930s, urban development in the Netherlands grew significantly. For the first time, large areas were developed in one go, thus creating a complete public space. That’s fairly unique in the world. 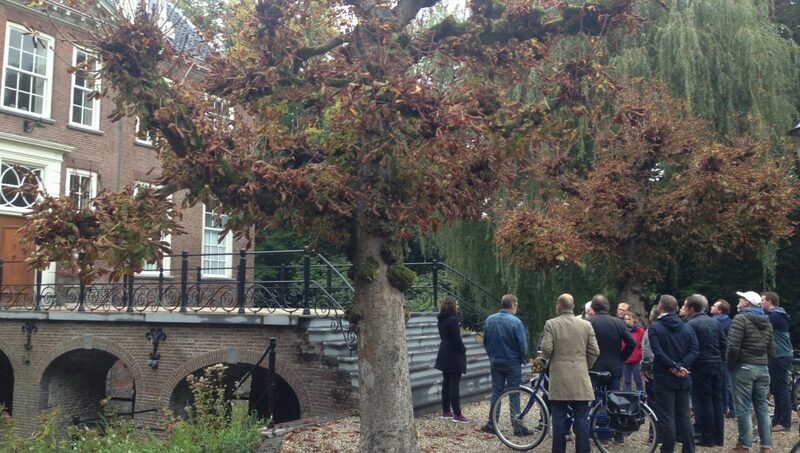 Urban designers worldwide still visit Amsterdam to look at H.P. Berlage’s South Plan. For Berlage, the quality of the public space was the nerve centre of his design. Streets and spaces came first, and only then the buildings. He thus introduced a fantastic urban system, highly flexible, and with public space as the backbone. After the Second World War, the Netherlands built a strong tradition in planning, which is based on the CIAM notion of the ‘functional city’. The Congrès Internationaux d’Architecture Moderne (19281959), led by Le Corbusier and other modernists, advocated a more rational urban planning with separate functions. Planning became functional. One positive effect of that, for example, is the relatively limited gentrification in Dutch cities thanks to strong social housing associations. It’s also responsible for the high level of traffic safety for pedestrians and cyclists. The fact that people make excursions to Dutch cities to see how space has been allocated for bicycles shows how unique the latter is. Incidentally, the government only prioritised bicycles over cars in the 1970s after social pressure from the ‘Stop killing our children’ campaign. And yet somewhere something went wrong. Indeed, the negative side of the planning system is that it’s extremely rational and does exactly the opposite of what Berlage was doing: it first plans all the functions and only looks at public space at the end. As a result, many soulless, monotonous residential areas were built with poor quality public space. From the 1970s the system also focused strongly on people moving out of the cities. In the meantime, cars were taking over the city centres. It’s hard to imagine today, but Nieuwmarkt Square in Amsterdam was populated by cars, as were many other squares in the Netherlands. In the 1990s, people’s need to meet and interact grew, and user experience became increasingly important. Pedestrians began to reconquer the city from cars; more outdoor cafés and places where people can meet started to appear. An interesting tension arose between formal and informal. 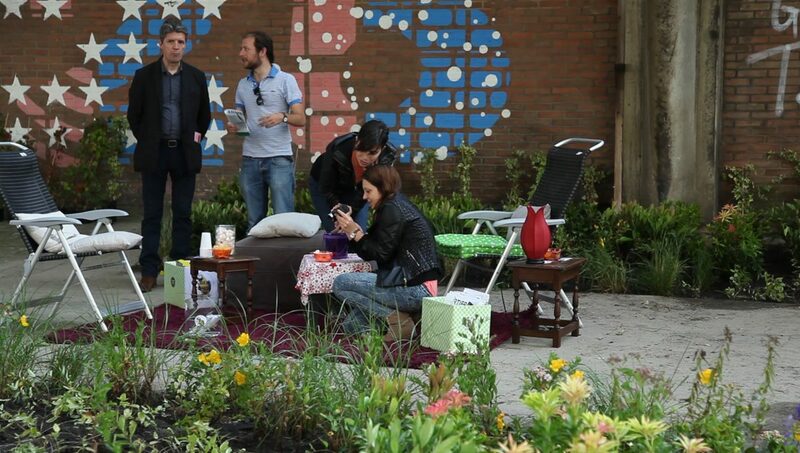 People living in rigid systems found a way to give themselves some air by building a small garden in front of their façade or putting a bench next to the door. The government condoned this and even helped to remove the first stone from the wall: the formal embraces the informal. Thus a hybrid zone was created with an extremely important social function: 80% of informal contact between neighbours takes place there. Cities became popular places again and there was a huge need for housing. Prior to the recent crisis, the construction industry focused on standardising as much as possible so that there was as little left for them to do as possible on construction sites. That goes against the grain of prioritising the human dimension. Forced by the crisis, the construction industry had to focus on reusing existing buildings, and in such cases standardisation is difficult. In the meantime, many bottom-up initiatives appeared, also for improving public space. The general feeling in the Netherlands now, as you will read in this book, is that the crisis is over. It will be exciting for cities to see how they will manage to keep working on the quality of their public space. 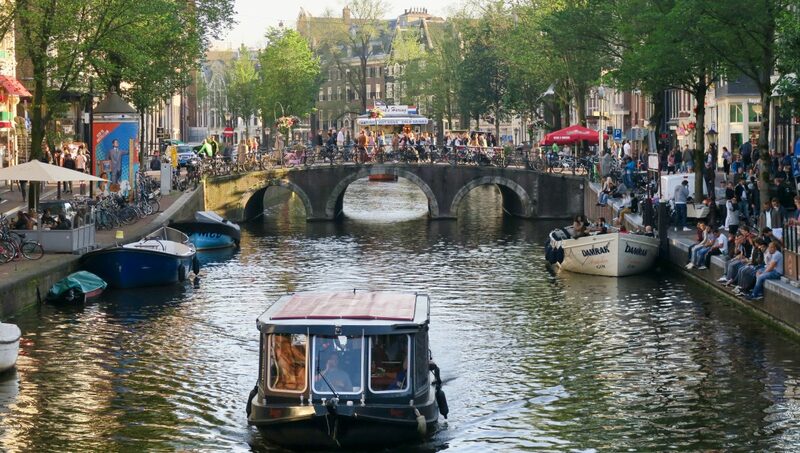 As a result of developments in recent decades, the Netherlands faces the challenge of connecting a strong, rational and functional planning tradition with the other half of the brain: the user experience, the city at eye level. Users don’t only need space, they also need experiential value. People don’t only want to reside, they also want to experience something their environment. Essentially there’s nothing wrong with the rational tradition, as long as it’s not the only one. The modernists made the error of wanting to capture the city in rational models. That can’t be done. You also have to use intuition, norms and values, and social structures in your design. A number of developments are providing opportunities to connect these both of these sides of the brain. One of these is the rise of the pedestrian, which is related to the economic transition from production to creativity and knowledge to innovation and ‘meeting up’. Despite all of the internet and other communication options, innovation moves the fastest when people are within walking distance of each other and their opportunities to exchange. So these have to be pleasant places to stay. The quality of these places, that’s what it’s all about. As a result of this, the economy of the pedestrian is become more important than that of the motorist. It’s about walking, meeting, experiencing and no longer about making things as easy as possible with the car. Research by the Brookings Institution argues that we should no longer think in terms of kilometres but in terms of steps. That’s the major challenge, because cities know everything about the car, at any given moment of the day, but in most cases they don’t know anything about pedestrians. If the economy of the pedestrian is to really become increasingly important, then we need to conduct research on where pedestrians walk, what they do and when, but also on their experiences and emotions. Some cities are already working on this issue. For example, Amsterdam has its first plan for pedestrians, and Rotterdam is the first city in the world to develop a plinth strategy, which primarily benefits the pedestrian. The Netherlands is thus responding to an international trend. All over the world, people are rediscovering the existing city and prioritising the pedestrian. Almost every city in the Netherlands is itching to get started, which is evident in essentially every chapter of this book. The ‘two halves of the brain’ approach is about how to combine reason and emotion. As a human being, what do you want to experience in the city? What do you want to be able to do in your residential neighbourhood? User experience is about meeting other people. 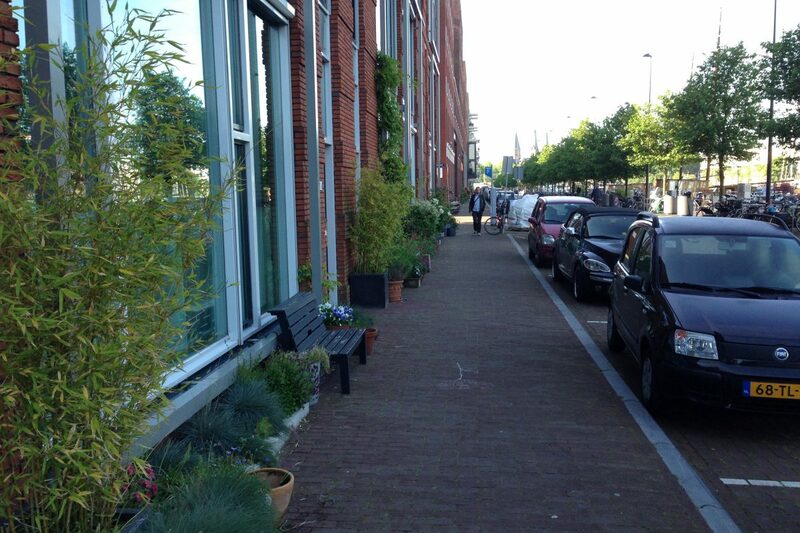 Zomerhofkwartier (ZOHO) in Rotterdam is a great example of the transition from ‘space to place’. This project was driven by a combination of top-down and bottom–up initiatives that mobilised the community’s networks and allowed for surprises to happen. People start to appropriate space, and then suddenly a chef comes by and says: I want to start a restaurant in that old train. He starts growing vegetables and installs an outdoor café. The place becomes a little paradise where people like to be. We now have to move towards citywide placemaking. ZOHO and other similar places evolved as an experiment, but it’s important to encourage this kind of development in other places in the city. Take street markets, for example. The Netherlands has a strong tradition in that respect, but the markets are doing poorly at the moment. That’s because they’re purely seen as places to buy and sell. 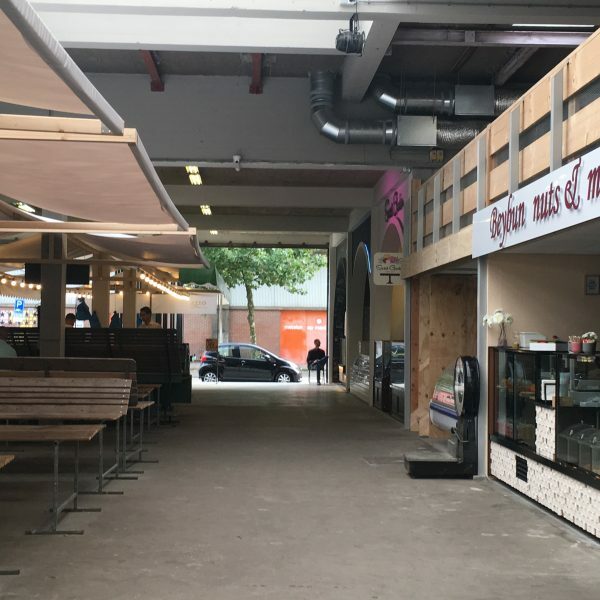 But a market can be so much more: a place where users can experience the neighbourhood, meet people and buy healthy food, and a place where local entrepreneurs can build a small-scale economy. It’s already happening here and there, but industry should think hard now about how to strengthen and use the traditional markets as a way of creating places. And that’s true of so many issues related to placemaking. Think, for example, of water in the city: there are few places where people can actually access it, and that’s a pity. In Amsterdam, for example, they’ve cleaned the canals so thoroughly that you can even swim in them now. How can we change that in other places too? In short, we have to move from an accumulation of experiments to a citywide placemaking approach. That means working on placemaking in areas for several years on end. It means forming coalitions and finding financial resources for these areas. The condition for making the transition from placemaking to place management is that we give users of the city who come up with initiatives access to the strong planning system. But how do you adapt this kind of system to the necessity of making of exceptions? Think, for example, of management and enforcement. In the Netherlands, everything’s clean, intact and safe, but we don’t concern ourselves with whether things are also social, fun and comfortable. We need to also extend management to the two halves of the brain and ensure that solutions can be customised. But how do you achieve that? A service that manages 125,000 kilometres of asphalt and 1,000 bridges will say: you’re crazy if you intend to make exceptions for everything. It’s an interesting challenge: how can we work together with these kinds of systems? We also need to look at the sustainability of placemaking. Many initiatives succeed in breathing new life into a place, but after a few years the energy ebbs away and they collapse. If you want people to continue to do things, you have to reward their efforts by giving them influence. How do you organise that? A developer shouldn’t only work on buildings. That means a whole new way of working in which you have to look carefully at the question: who lives and works there, and what are they doing with the area? When we organise meetings with the public, the people that show up are usually white males above the age of 55. We need to address the groups that aren’t showing up and aren’t being reached by us. By and large, this isn’t about creating but about enticing. And about finding a structural basis, so that people have a lasting role. It’s much easier for a municipality to subsidise a project than adapt the system, but the latter is the challenge that we’re faced with right now. It’s quite a task, but luckily everyone can tap into what’s already happening. A kind of toolbox has been created in this country, which can be used by all of these cities, professionals and bottom-up initiators. That’s what this book is about. That’s why we close this chapter with five models that we have seen emerge. So that together we can seize the momentum. The temporary use of both vacant properties and poorly used outdoor space is extremely important to strengthen neighbourhoods and streets. We need to sit down with stakeholders and figure out which function can be added to improve the entire street. If we don’t do that and rent out vacant buildings for a low price, the neighbours will start to rebel. But if you install cafés and restaurants in consultation with shopkeepers, for example, in order to attract more people, or add a sewing or knitting shop in a fashion street, no one will object. That’s also true of urban farming on desolate plots. These are initiatives with an incredibly positive spinoff, which not only improve cohesion in the neighbourhood, but also health. One of the most beautiful examples of how temporary use can help to develop a neighbourhood is the Westerdok art factory. This new-build neighbourhood in Amsterdam was constructed about ten years ago. The plinths often have trouble getting off the ground in new neighbourhoods. So we asked ourselves how we can make this neighbourhood part of the city. A number of plinths were offered at low rent for creative pursuits such as a cooking studio and an architecture firm. They were told that as long as they made a concerted effort to breathe new life into this neighbourhood, they could sign a ten-year lease. Everything in this neighbourhood fell right into place from day one. A successful example of street management is a street called Meent in Rotterdam. Real estate investor Robin von Weiler noticed that the shopping street was deteriorating, so he mobilised all of the owners to develop a joint strategy. At its core was diversification: a focus on quality and small shops manned by the owners themselves. Moreover, Von Weiler had his hand in everything: he made sure that the employment agency was moved so that the closed plinths could be opened up, the layout of the street changed, the lampposts, everything. Within a few years, Meent has become one of the most popular shopping streets in Rotterdam. Another example of a street that made a complete U-turn is in the Klarendal area in Arnhem. 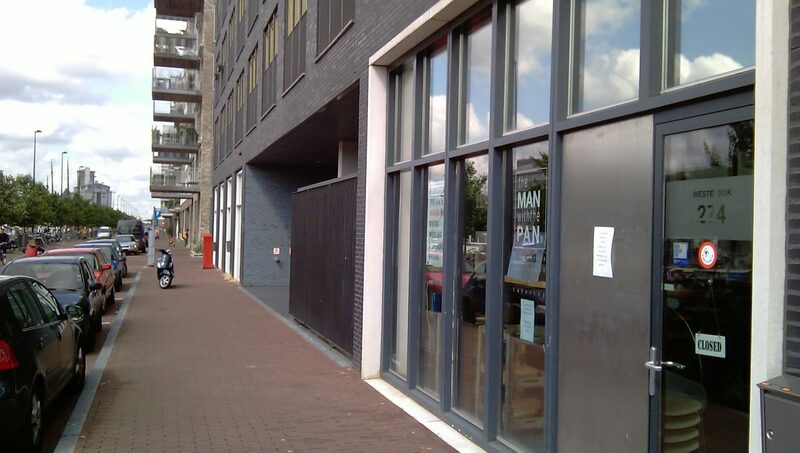 Klarendaalseweg, which was once populated by bakeries and butchers, became completely vacant after the war. Drug dealing and prostitution took over the area. One day, the residents were fed up with it all and chased out the drug lords. The housing association bought up, renovated and prepared the retail premises for new use. They decided, together with Artis, the country’s top fashion institute, to offer the buildings to graduates. The ex-students paid normal rent, but what they got in return was a studio on the street where they could work and which they were obliged to open to the public. There are now 50 fashion designers on Klarendaalseweg, and Arnhem has become a fashion city. Bryant Park in New York is a source of inspiration when it comes to public-private partnerships. Forty years ago, this was a no-go area. All of the area’s stakeholders got together at the time and asked themselves: what can we do to make the park a better space, a better place. Subsequently, an organisation was hired to take full responsibility of both the physical management and the programming. In the meantime, there are outdoor cafés, a ping pong table, high-quality green areas and a variety of events taking place in the park. The budget is US$10 million a year and is partly financed by property owners who understand that this is an intelligent investment, because it stands to raise the value of their real estate. The restaurants also contribute part of their profit. An extensive model has been developed here that’s extremely sustainable. For 40 years now they’ve been experimenting on how best to do things. They’re already working on their third generation of kiosks because they weren’t happy with the first two, and so they are constantly trying out things and continuing to develop. Bryant Park illustrates well why things should never be a one-off but should have structural permanence, and consequently why it’s important to form coalitions and guarantee cash flows. Inspired by this model, we recently set up a similar place management organisation in Rhijnhuizen. No matter what kind of placemaking you introduce, it will have an impact on the entire area. 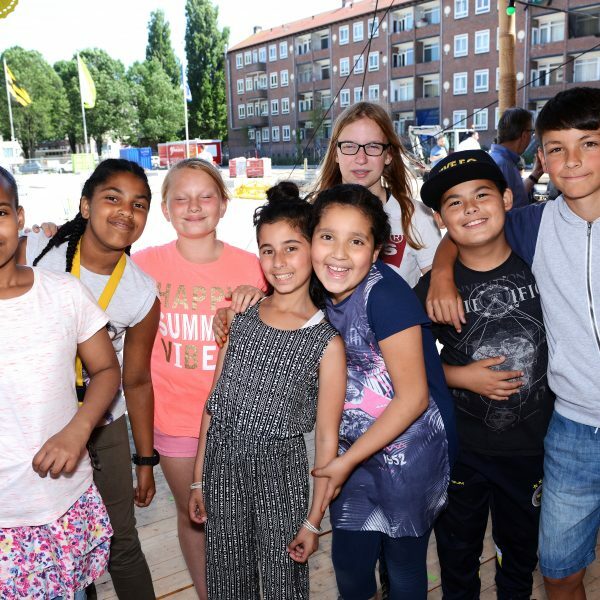 One of the most important lessons that we learned from the developments at Zomerhofkwartier is that we forgot to think about funding in advance. The fight against vacancy and efforts to improve the area have rapidly increased the value of the real estate there. If we had agreed on a deal three years ago to share the difference between the value now and the value then, then we would have an organisation with a budget that would allow it to work a long time in the area. In new areas, we try to incorporate that idea immediately now, so that the partners that benefit from returns can reinvest them. There are already some good examples of how that works in practice. Such as Zuidas in Amsterdam, where Saskia Rill is a plinth manager. One half of her salary is paid by the municipality, and the other half is paid by all of the owners in the area. Erasmusveld in The Hague is also an excellent example of area management. The municipality wants a highly sustainable neighbourhood to be developed there. 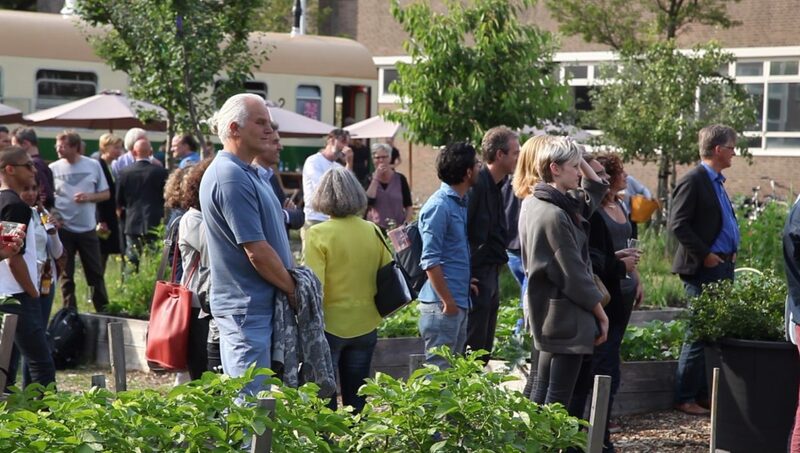 Together with other stakeholders, area developer BPD Ontwikkeling is constructing a city garden there and a tiny houses village in order to give the area that they’re going to develop in the future a different identity. They involve the community in what they’re doing and aren’t only focusing on the higher income parts of the area, but also on existing adjacent neighbourhoods. Many cities have embraced a ‘city at eye level’ strategy at the city or inner city level. Rotterdam is doing it with its City Lounge strategy; Groningen as a cycling city already started doing it in the 1970s; Leeuwarden took on the role of cultural capital and said: we’re no longer looking at the places but at the whole city, and we’re handing over responsibility to the ‘mienskip’, the community. Maastricht has actually been doing it for decades simply by making nice places. Having managed to make the massive shift from a city for cars to a city for slow traffic, Maastricht is creating large public spaces that are much more attractive for pedestrians. In addition the city is trying to create conditions to ensure that these spaces are used well. Driven by its urban strategy, the city is truly thinking about how to eventually ensure that it creates good places with attention to every detail. Instead of forcing it on small places and then moving on to the larger places, Maastricht is going from large to small. In Tilburg, in addition to redesigning Spoorzone, the municipality is also examining how to make the city centre more closely knit, so that it becomes an appealing city to spend time in. A little along the lines of how that transpired in Melbourne. Essentially it’s happening all over the country.